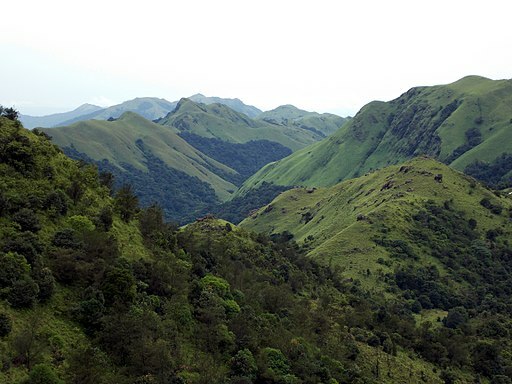 Located in the hills of Western India between Goa and Kerala state, the district of Kodagu (better known as Coorg) has long been a holiday getaway for those from Bangalore. If you want to hang out with actual Indians instead of tourists, Coorg is the place to do it. The day you arrive in Kodagu district will at least be a partial travel day. Once you factor for the amount of time it takes to travel to the area and get settled in an accommodation like the tamara coorg hotel, you’ll likely only have enough time and energy for one attraction. If you do decide to head out, check out the Namdroling Monastery. This place is the top teaching center for Tibetan Buddhism in the world, so don’t be shocked if you come across throngs of monks and nuns upon your arrival here. Renovations are underway at the present moment, but construction is expected to wrap up by March 2018, so all the sizable Buddha statues on the grounds of this venerated temple should have the scaffolds removed by the time you head out on your trip here. Being a spiritually significant part of India, there is more than just one major temple in Coorg. If you haven’t had your fill after visiting Namdroling Monastery, make Talakaveri Temple your next destination. This Hindu temple was built at the source of the River Kaveri, whose waters are important for the livelihood of many local residents. In addition to the springs, in which many pilgrims bathe, there are excellent views of the hills and valleys that comprise the entire region – don’t forget your camera at the hotel! As an elevated place in India, it follows that precipitation is high throughout much of the year. Accordingly, there are plenty of spectacular waterfalls in the Coorg area which make a scenic place to swim, to take photographs, or to just chill. Iruppu Falls is a particularly popular place due to its association with a local legend. It holds that a demigod by the name of Lakshmana shot an arrow into the hillside when members of his travel party sought water. A torrent of clean H2O ensued, leading many pilgrims to believe that it has the power to cleanse sins. Even if you choose not to follow them into the gorge, the mossy rocks, dense forest, and the beauty of this multi-tiered torrent makes it an amazing place to visit. The moist climate of Coorg makes it a great place to grow a garden. Of all those which can be found in the region, none match the splendour of Raja’s Seat. With beds filled with flowers that change with the seasons, decorative fountains, and a viewpoint famous for sunset views, it is well-loved by residents. Traveling with kids? There is a toy train circuit that will help keep them entertained during your visit here.